The findings verify that only 4% of the universe is made of ordinary matter, 26% is in the form of mysterious dark matter and space is filled with an unseen dark energy, which is causing the accelerating expansion of the universe and makes up 70%. "It is remarkable that dark energy, proposed in its simplest form by Einstein 100 years ago, is now measured so accurately by DES. However, the nature of dark energy is still a big mystery," said Professor Ofer Lahav (UCL Physics & Astronomy), chair of the DES:UK Consortium and chair of the DES Advisory Board. "This DES result is the culmination of 13 years of dedicated work by over 400 scientists from seven countries, including the UK. We've only used data collected from the first year of the survey, so anticipate further discoveries in the coming years that will better our understanding dark energy." The new measurements of the amount and distribution of dark matter in the present-day cosmos were announced today at the U.S. Department of Energy's Fermi National Accelerator Laboratory. 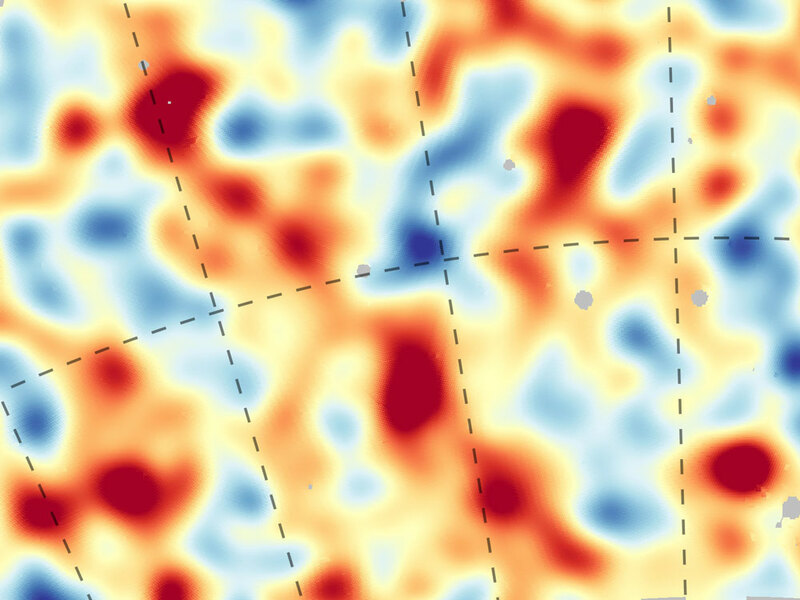 They were made using the largest ever galaxy-based map of cosmic dark matter and with a precision that, for the first time, rivals that of early universe measurements made by the European Space Agency's orbiting Planck observatory. The map is ten times bigger than the one DES released in 2015, and eventually with 5-years' of observations, it will cover an area three times larger, and probe the Universe at even greater distances. The fifth year of observation will begin in August 2017. The primary instrument used for DES is a 570-megapixel Dark Energy Camera on the Blanco telescope in Chile, which can capture digital images of light from galaxies eight billion light years from Earth. Part of the DES Camera -the optical corrector - was assembled at UCL by a team led by Professor Peter Doel and Dr David Brooks (UCL Physics & Astronomy), with funding support from the Science and Technology Facilities Council. DES scientists used the camera in two ways to measure dark matter. First, they created maps of galaxy positions as tracers, and second, they precisely measured the shapes of 26 million galaxies to directly map the patterns of dark matter over billions of light years, using a technique called gravitational lensing. "Bringing maps of galaxy light and dark matter together gives us a whole new way to understand how the dark side of the Universe behaves and how galaxies evolve over cosmic time," said PhD student Antonella Palmese (UCL Physics & Astronomy), who leads studies of DES clusters of galaxies, and participated in DES observations in Chile. "Using only the first year of DES data we've achieved a precision to rival the Planck satellite. With the full five-year data, we hope to see more exciting results in the future," said Dr Will Hartley (UCL Physics & Astronomy), who leads studies of galaxy evolution in DES.